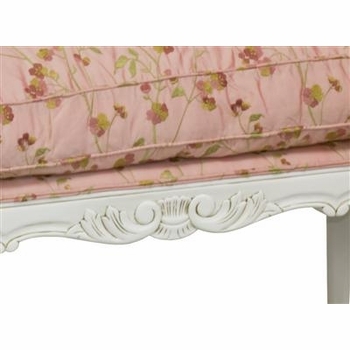 The Antoinette Bench by Art for Kids is an elegant accent to any room. 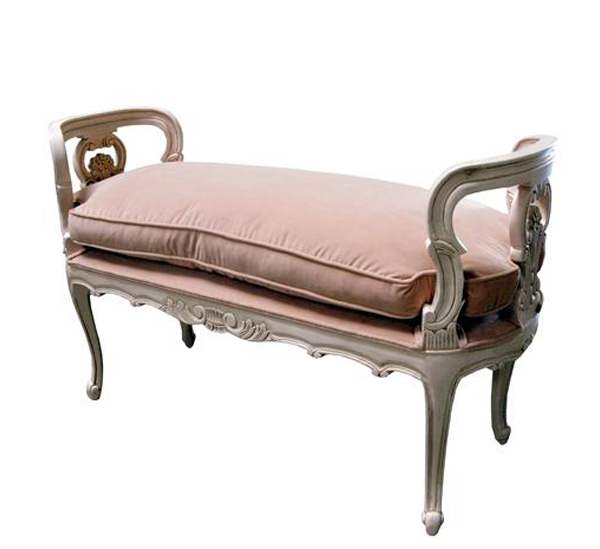 The bench features beautiful handcrafted woodwork and upholstered seat. 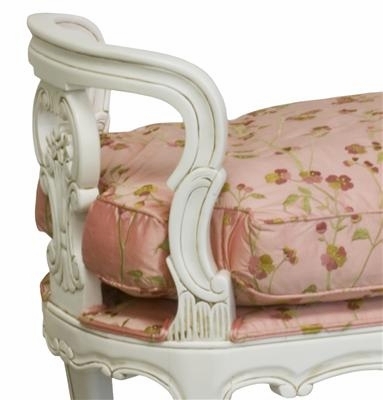 Shown here with custom fabric. 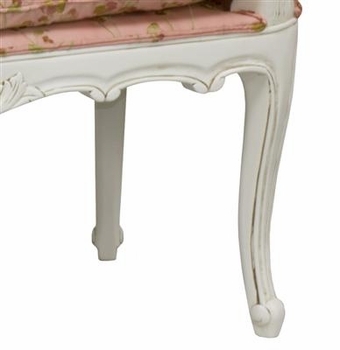 This darling piece of furniture will make a posh statement in her room. 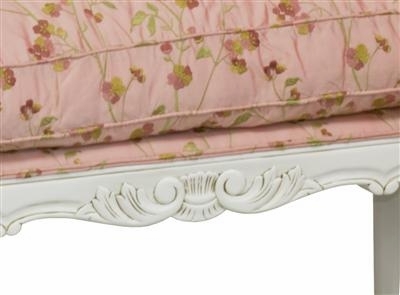 It can be used at the foot of the bed or in front of any window. 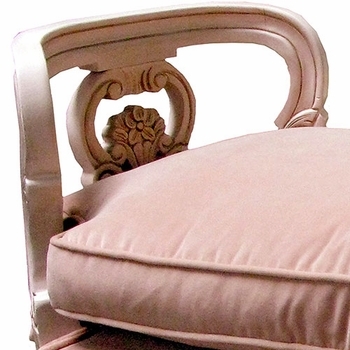 The style is also available in many different finishes. 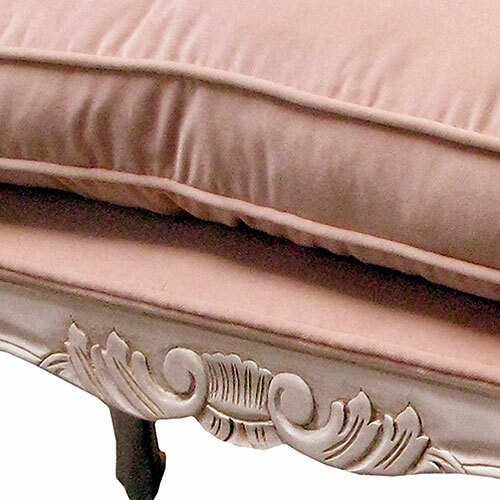 Shown in Blush Velvet, please contact customer service for available fabrics and COM information. 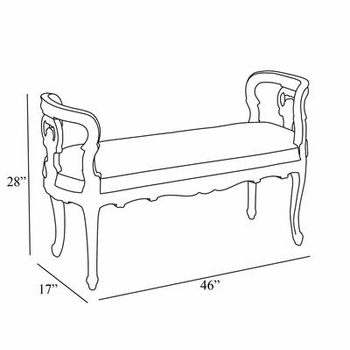 This lovely piece is crafted from 100% alder and birch wood and is made in the United States. 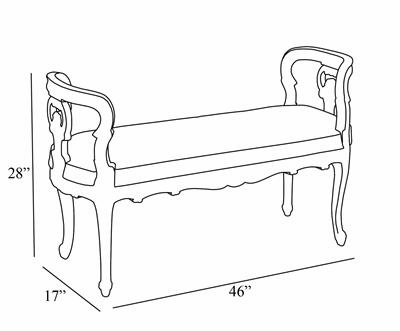 Dimensions - Width: 46" x Depth: 17" x Height: 16 1/2"
The bench is custom made to order and ships directly from the manufacturer. For further information or to speak with one of our design associates, please call us at 203.655.0185. Wood chip samples available upon request.